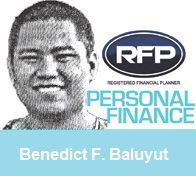 PINOYMONEYVANTAGE | Personal Finance in the Philippines: Having the Joyride on Two Wheels: A Reminder for Motorcycling Public. 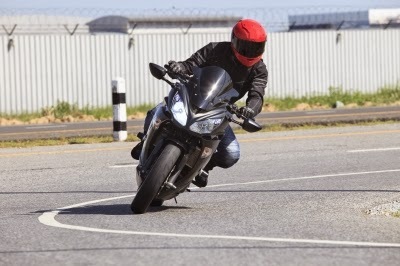 Having the Joyride on Two Wheels: A Reminder for Motorcycling Public. Have you ridden a motorcycle before? We know for a fact that riding a motorcycle is pleasurable and fun. It felt like having your wings and flying away. In my experience, it is the freedom that makes it thrilling for riders alike. It can maneuver on congested streets and heavy traffic. It can be used for sports and even travel / adventure or cruising on an out of town ride. The motorcyclists are common sight in the urban or rural areas around the Philippines. Even in other Asian countries like India, Vietnam, China, Cambodia and Thailand were the number of motorcycles outnumbered cars and trucks. Motorcycles have become the mode of transport of the masses. This is second only to the passenger jeepney which is still the “King of the Philippine Road” here in our country. In terms of frugality, motorcycles are very economical with fuel prices skyrocketing weekly in which fuel expenses can be used for a week at most. Motorcycles Loans are available in the market through commercial and other financial institutions. Repairing and upgrading costs is lower compared to a car or an SUV. In Metro Manila alone, motorcycle related accidents have drastically increased from 9.4% (11,475) in 2005 to 14.6% (20,518) in 2011. There are no exact statistical reports on fatalities. 90% of Motorcycle riders outside of Metro Manila don't follow the Helmet Law while 90% of Motorcycle riders in Metro Manila follow the R.A. 10054 or Helmet Law. Some Motorcyclist involved in vehicular accident do not have health or accident insurance coverage at all. Have your safety precautions on – Make yourself visible at all times by turning on your headlight even during daylight. Wear high visibility colored vests or jackets with reflectors. Wear full safety gears like helmet and body armor. Obey traffic rules and follow road safety – This is very essentials for motorcyclist to do in promoting safe travel to their destinations. Avoid potholes or bad roads when traveling to your destination. Have a Personal Accident Protection Plan – For motorcycle owners / rider should have this in which it covers for Accidental Death and Permanent Disablement, Accident Medical Reimbursement, Murder and Assault, Accident Burial Benefit and Motorcycle Third Party Liability. The cost of this type of insurance is only at P 900.00 to P 1,100.00 annually. Stay safe, someone is still waiting for you at home.